LADY`S BEDSTRAW seeds (galium verum) from Wildflowers UK. Lady’s Bedstraw- Galium verum-is the perfect wildflower plant for adding of bright splash of yellow to a summer flowering meadow. It is well suited to all wide variety of soils, but grows best on dry ground in full sun, making it particularly well suited to a seaside garden. 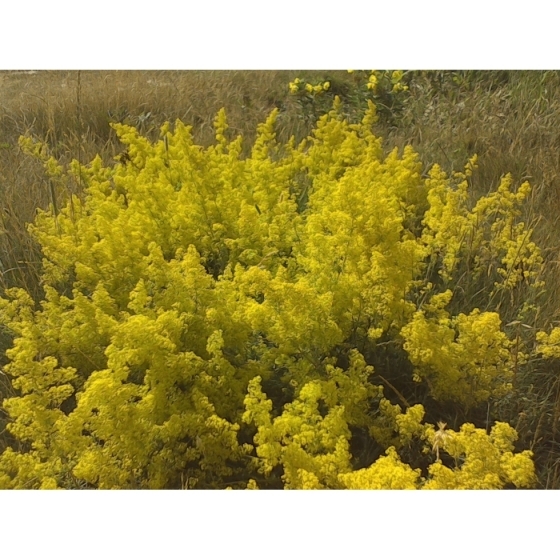 Ladies bedstraw plants have tiny golden yellow flowers that grow in dense clusters. The blooms appear in July and August, and blend particularly well with other meadow plants. The tiny black seeds of Lady’s Bedstraw ripen slowly on the flower stems and can easily be collected in a paper bag. Lady’s Bedstraw plants look best grown alongside other summer flowering wildflowers such as Oxeye daisy, Meadow crane’s-bill, Black Knapweed, Greater Knapweed, Smaller Scabious, and Field Scabious. 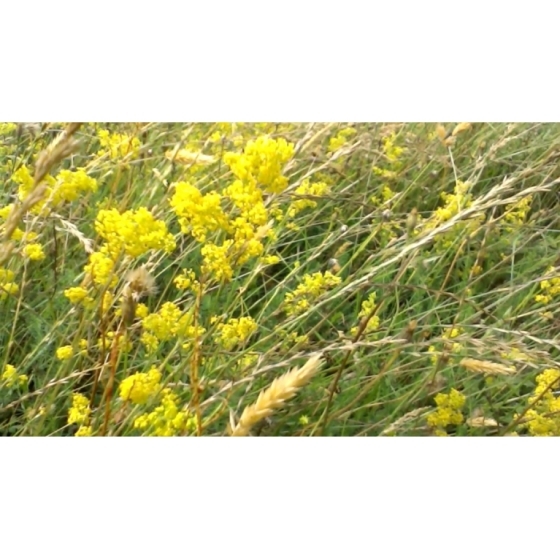 Lady`s Bedstraw seeds can either be sown into trays of compost in the spring or autumn. Germination is normally fairly easy but can occasionally be slow. The seedlings can then be pricked out and grown on, for planting out later in the year. 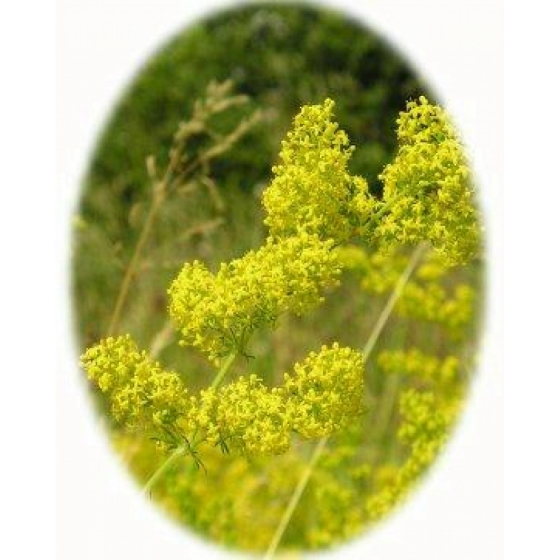 To purchase Ladies Bedstraw seeds, please select a quantity above and click add to cart. To ensure the best chance of success, we sell all of our wildflower seeds by weight, which ensures each wildflower seed packet contains a good quantity of seeds. 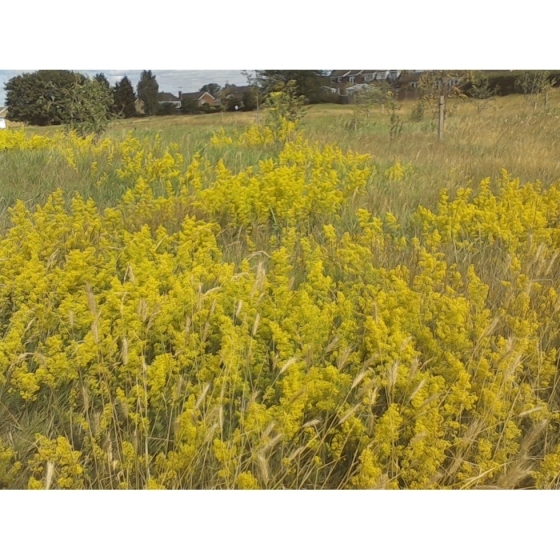 The recommended sowing rate is 1 gram per square metre, and the number of Ladys Bedstraw seeds per gram is approx. 1600. All of our Wildflower seed packets contain seeds of Native British provenance.